Limited Edition DVD – On Sale Now! 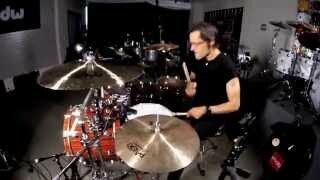 Improve your skills and discover new approaches to warming up, playing grooves and building technique. This DVD features several in-studio live performances with bassist Evan Marien and guitarist/composer Simon C.F. Yu., plus detailed instruction and on-screen notation within the program. Bonus features include isolated individual video angles of several studio performances. Born and raised in New York City, Tobias Ralph was a child prodigy who began playing the drums at just 4 years old. He’s developed his own innovative style that is influenced by many different genres of music. Get it now for just $19.99 and take your drumming to the next level.